Mt. Wachusett is a "monadnock" or isolated peak 2006 feet high, in central Massachusetts. 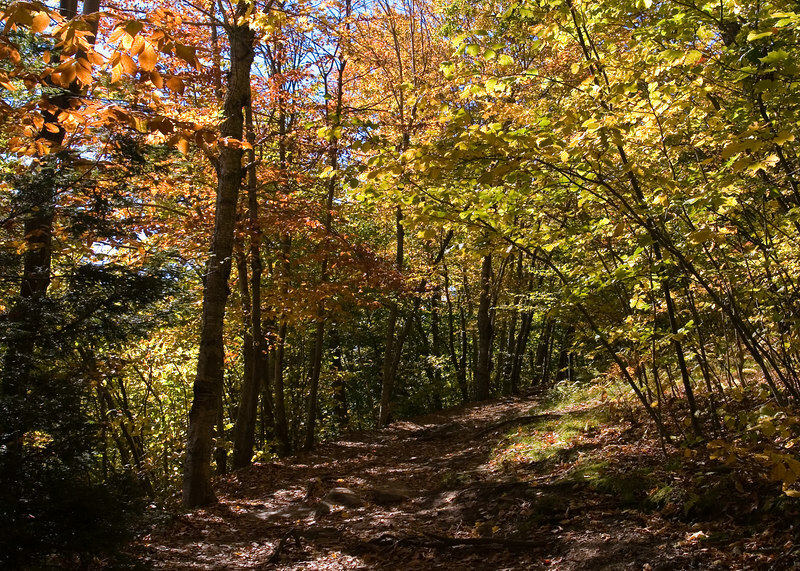 It is thought to once have been considerably higher (20,000+ feet), and now is home to the largest area of Old Growth forest east of the Connecticut River. It's a relatively easy hike, though one has to watch one's footing on the large rocks covering much of the trail for erosion control. The top is somewhat anticlimactic, since there's a road that goes all the way up, with a parking lot, etc. But the view is great, all the way back to Boston, since there's nothing as tall nearby. Mt. Wachusett is also a (very modest) ski area, and so there is a chairlift, which we rode up and down after the hike.